It'll burrow into your skull like a lamp post. 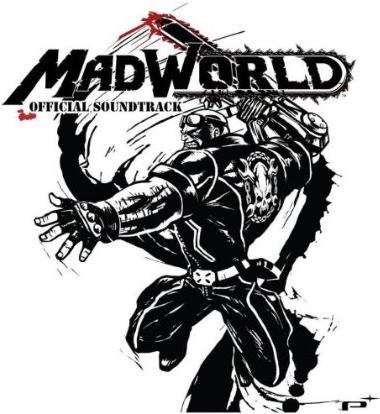 One of my favorite parts about MadWorld was the soundtrack: stylized hip hop tunes that fit really well with the generally stylish carnage Jack would find himself in. It's probably my most enjoyed game soundtrack since No More Heroes unleashed Pleather For Breakfast on my boss-battling ears. Pictobits was pretty rad, too, but that's a different story altogether. Formerly available only as a pre-order bonus in certain PAL territories, the black and white and red all over game's 20 tracks have gotten a fresh coat of paint and a digital release. 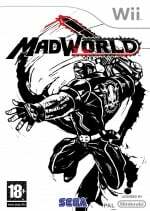 The album includes all 20 original songs produced by Platinum composer Naoto Tanaka in collaboration with Ox, Doujah Raze, Sick YG, Bandy Leggz, Wordsmith, S.O.U.L. Purpose and Optimus. Some of these stand out a bit more than others, although your mileage may vary depending on how long you spent on each stage. Personal favorites are Sick YG's Ain't That Funny, Ox's Get It Up and Bandy Leggz' You Don't Know Me, mostly because I have fond memories of those levels. You can snag the album on the Sumthing Else site or on the American iTunes Store. The full album will run you $10, and you can snag singles too if you'd rather. Who would pay 10 bucks for this? I did. It's a great soundtrack. @Toddr: Yeah really - especially when you can get amazing WiiWare games for the same price. Who would pay 10 cents for this? I got the game so I think I will just listen to it while I kill ppl in the game. I'll spend $30 instead and get the game...soon. Why spend $10 on this when I can get it for free by buying the actual game? I'm still bummed I bought this the day it came out for $50 USD and three weeks later it was in the bargain bin for $30 USD. Last time I buy a hyped CD release on release day. Asking another $10 for the soundtrack is rather insulting. Decent game though.. still have to finish it, hehe. I have the game and to tell you the truth the OST fits the game, but listening to it outside of that probably wouldn't do you much good. The OST is one of my favorite albums I own, period. Had I known this before I downloaded the soundtrack, I would've bought it.